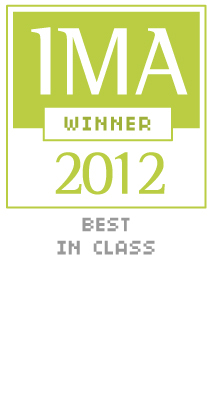 The Interactive Media Awards recognises the highest standards of excellence in website design and development. Judged by a panel of distinguished professionals in the business world such as American Express, Cadbury Schweppes, CNNmoney.com, Deutsch Bank, McCann Erickson, Microsoft, Time Warner and Verizon Business. It is a real honour and recognition of the passion we put into our business. Judging was based on the following criteria: Design, Content, Feature Functionality, Usability and Standards Compliance & Cross-Browser Compatibility. Foxtons scored a staggering 485 out of 500. Foxtons' efforts in creating the best real estate website in the industry and beyond have been recognised once again, this time at the prestigious Interactive Media Awards. Foxtons.co.uk was awarded the highest honour of 'Best in Class' in the Real Estate category. We value the recognition of our continuous effort in developing an intuitive and user-friendly website. We aim to not only let our buyers and tenants make quick and informed decisions but to also presents our client's properties to the highest standards in a beautiful and compelling manner.